'Tatume' - my favorite squash. Can be eaten green. Culture: Plant in well-prepared healthy soil. Use as many plants as you have room for. Pests seem to hit the smaller plantings for some reason. Use lots of compost, lava sand and mulch. Add Texas greensand in alkaline soils and high- calcium lime (calcium carbonate) in sandy acid soils. 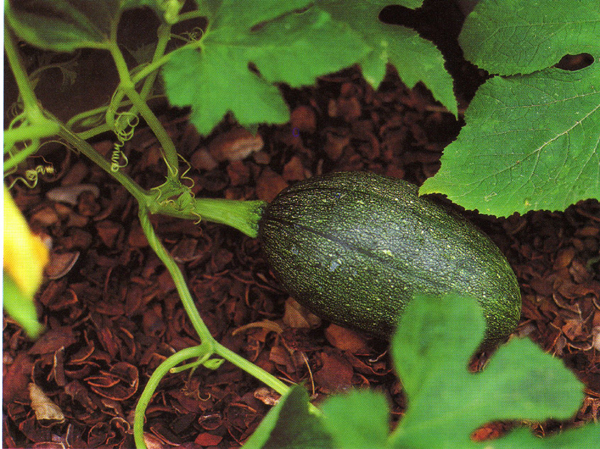 Squash is native to the US, and is pollinated by our native bumblebees, not by honey bees, which are not native. In some areas there are no bumblebees, and they should be hand pollinated.